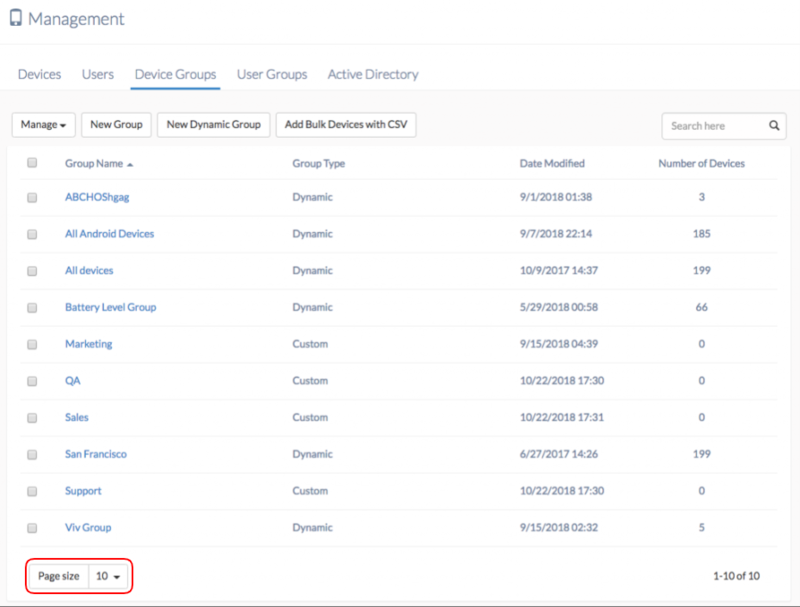 Please add the ability to edit what details are visible on the Device Group page as it is on the primary Device Management page. Also, could you increase the limit of total visible devices on this page? 100 should be fine, but the 15 device limit per page makes my 20 device group slightly more frustrating to manage. It is indeed possible to increase the number of devices/device groups listed per page in the Management tab. Simply set the Page size from the bottom left corner of the respective lists. This can be configured once 10 devices/device groups have been added to the list. As for the edit button for Device Groups page, would you be requiring any other columns apart from the four (Group Name, Group Type, Date Modified, Number of Devices), or is it just to edit the available ones? Please let us know.